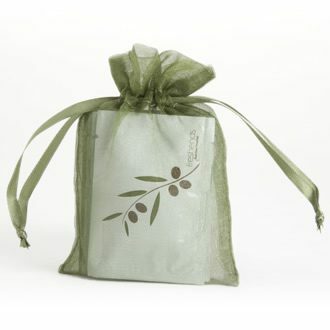 The ideal package for those who want to provide Freshends individually packaged flushable wipes in the bathroom at home. 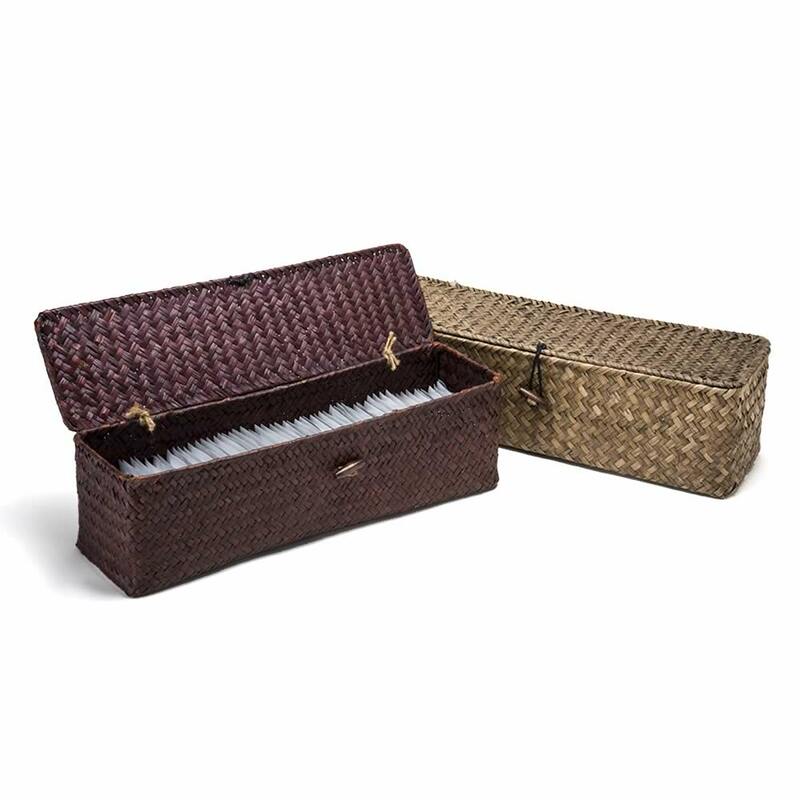 Fits nicely on the back of the toilet and provides a sanitary way to provide luxurious towelettes for your guests. 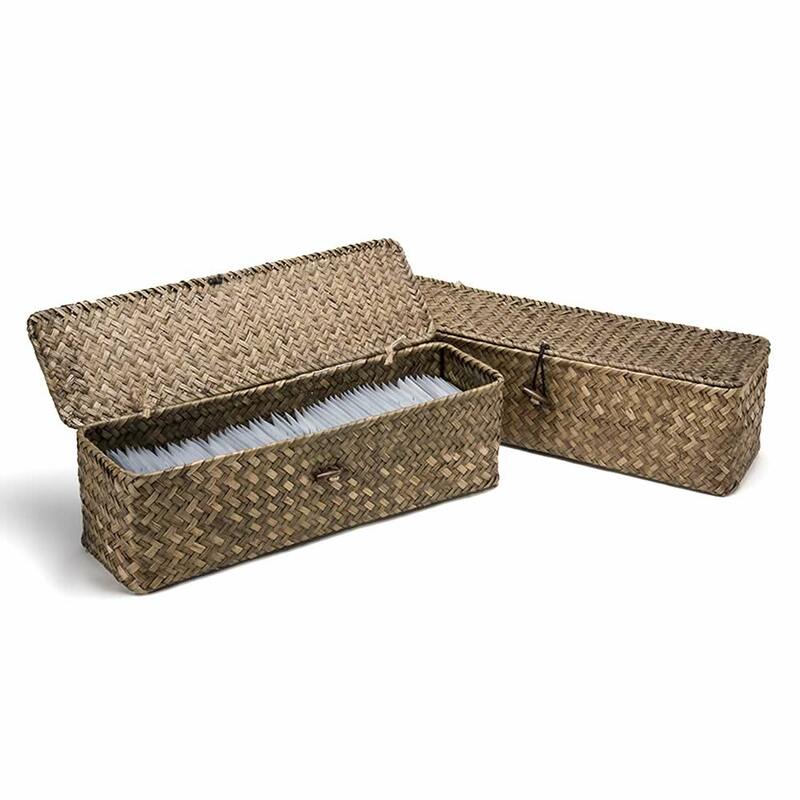 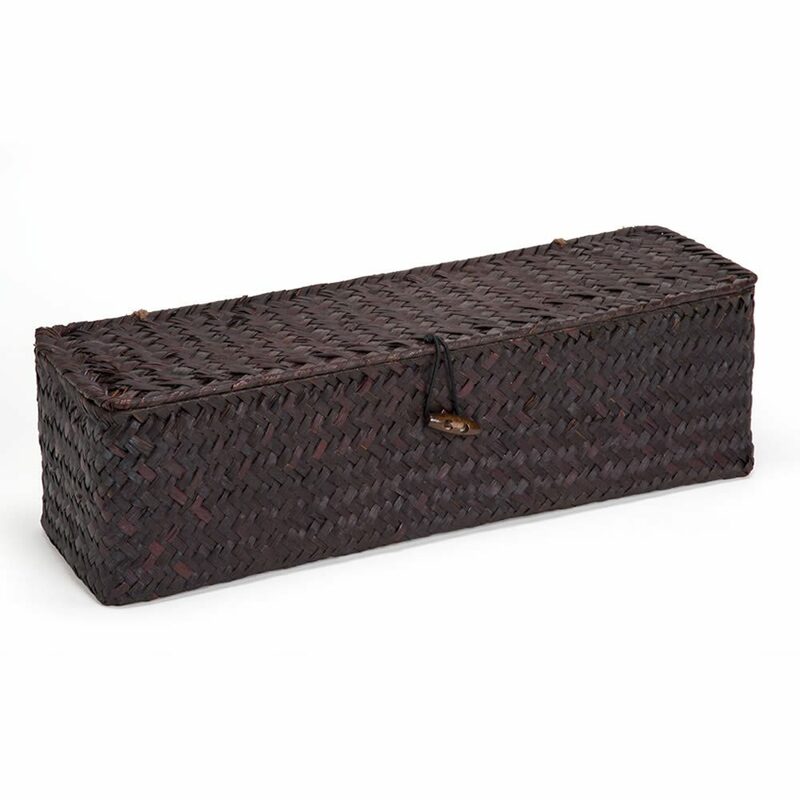 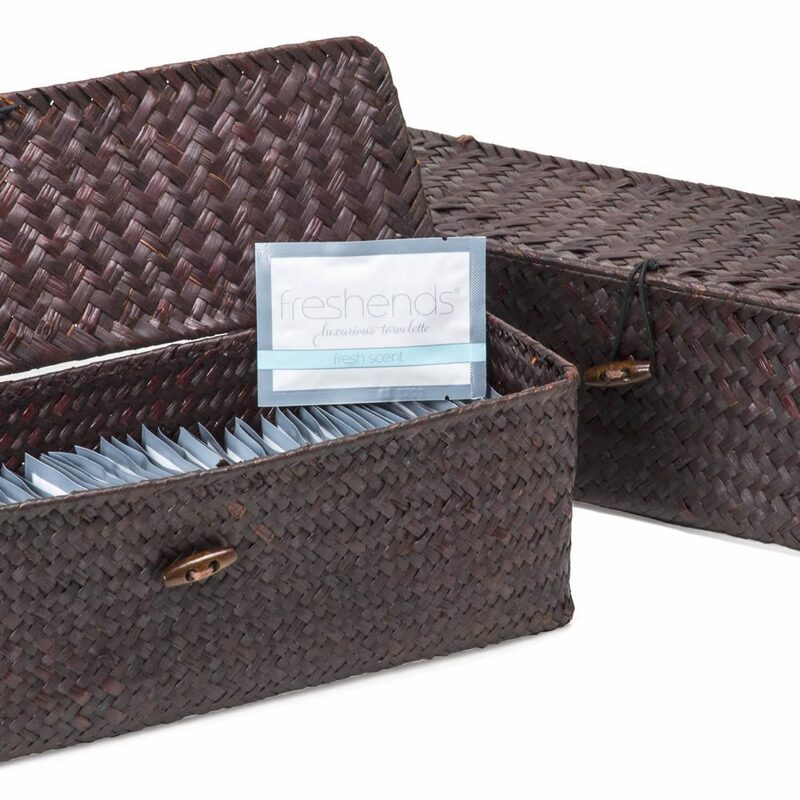 This wicker basket with a lid fits well on the back of the toilet and comes pre filled with 80 gray design towelettes.